If you have been following the blog, you know that a week or so ago, Gillian Gibree and I loaded ourselves into a car and headed up the coast. The plan was to SUP surf from San Diego to San Fransisco. 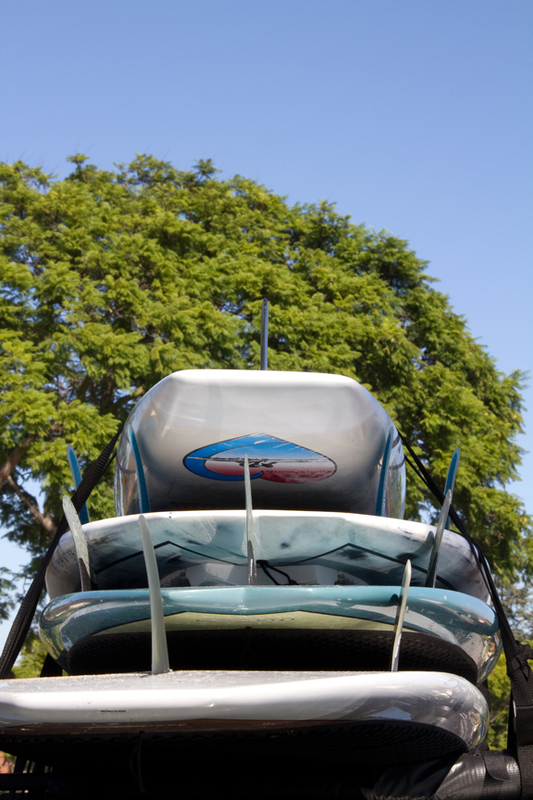 Like any self respecting ocean girls, we thought it was best to bring along a 10’6 sprint prone board. You know, just in case. The next morning we met up with Steve Shlens, awesome paddleboarder and second place BARK groupie. Once a brief altercation regarding coffee creamer was resolved, Steve decided to break the news: Santa Barbara buoys were reading zero. Not even a ripple. Disappointed but not defeated, we drove on in search of surf, leaving Steve behind to think about maybe planning a bit better next time. I mean really, who doesn’t order up some surf when friends are coming to town? I’m just saying. Anyway, the poor sprint board remained firmly attached to the roof of the car until we reached Santa Cruz. My friend Jeff Denholm was going for an evening prone paddle with his friends the Ghostryders and had invited us to go along. The surf was still minimal at best, but the glassy evening paddle by Steamer Lane was amazing. If you have never paddled in Santa Cruz, you should definitely think about it. There are otters and all kinds of other sea life everywhere, and the light gets magical as the sun goes down. After leaving Santa Cruz, we finally found some surf at Ocean Beach in San Fransisco. We pulled up to find a sunny and warm, late October day with fun sized surf. Once the shore break pounding was over, the waves made bringing the sprint board along for the adventure completely worth it. Trips like this tend to remind me of why playing in the ocean is so much fun. You never know what kind of waves you are going to get, and when you do, it is important to have many different kinds of boards to play with. Luckily, Joe Bark is around to make sure there is a board for every situation.